Session title: "Recent trend of Antenna, Propagation, System, and Signal Processing Technologies toward to future"
7. Session title: "Recent trend of Antenna, Propagation, System, and Signal Processing Technologies toward to future"
09:05〜09:35 "The status on standardization for channel models used in the 5G"
09:35〜10:05 "Development of 28 GHz band massive MIMO antennas for the 5G"
10:05〜10:35 "3 Dimensional mesh network using drones and directional beam"
10:35〜11:05 "Design technology and current development of antennas for automotive mm-wave RADAR"
11:05〜11:35 "Recent topics of HF Ocean RADAR"
10．The Steering committee meeting took place from 11:35 to 12:00 on March 22, 2018. 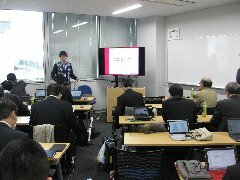 The 6th workshop of 23rd URSI-C was held in Tokyo Denki University, in Japan. The theme was 'Recent trend of Antenna, Propagation, System, and Signal Processing Technologies toward to future. Presentations from antennas, propagation and system viewpoint and millimeter wave and short wave radars were held. Furthermore, a new application using Drone which has recently been drawing attention was presented. 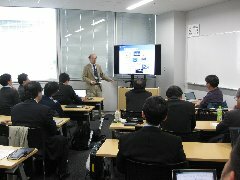 Dr. Kitao from NTT DoCoMo introduced the propagation model and standardization trends up to the 5G system. He also introduced the space-time propagation model used in recent MIMO systems. Dr. Satoshi Yamaguchi from Mitsubishi Electric Corporation introduced Massive MIMO, which is the key technology in the 5G system, and mainly explained on the aspect of the antenna design. 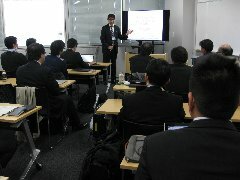 Prof. Hiraguri from Nippon Institute of Technology gave a lecture on a new application using Drones and MIMO transmission and the transmission method and performance. Prof. Sakakibara From Nagoya Institute of Technology gave lectures regarding the basic principle and development examples in vehicle millimeter wave radar. Finally, Prof. Fujii from Ryukyus University gives the development situation of marine radar using shortwave and the present situation of domestic and foreign projects. This workshop was successfully closed giving participants a chance to discuss technology related to themselves.